The President of Belarus Aleksandr Lukashenko will pay an official visit to Georgia in April for the first time. On 2 February in Minsk, during the opening of the 2nd session of the intergovernmental Belarusian-Georgian commission on trade and economic cooperation, Leonid Zayats, the chairman of the commission by Belarus, the Minister of Agriculture and Food, said about it. “I want to emphasize that this meeting is held on the eve of a historical event. In April of this year it will be the first official visit of the President of Belarus Alexander Lukashenko to Georgia,” Leonid Zayats said. “Thereby, during the meeting of the commission, we must determine specific areas for the development of bilateral trade turnover, to schedule possible major contracts and international agreements that could be signed during the visit at the highest level,” said the minister. According to him, over the past five years (since 2009 to 2013), bilateral trading volume had increased 1.7 times and exceeded 62 million dollars. “However, the achieved level of mutual trade turnover clearly cannot be satisfying for our countries. I hope that members of the Georgian delegation will agree with this,” Zayats said. In connection with the Belarusian data, in January-November 2014 the volume of bilateral trade had amounted to $58 million and, comparing to the same period in 2013, increased by 1%. The Belarusian export to Georgia totaled 20.8 million dollars and increased by 4.2%; imports from Georgia totaled 37.1 million dollars and decreased, over the same period in 2013, by 1%. The balance is negative for Belarus — 16.3 million dollars. According to BELTA (The Belarusian Telegraph Agency), in the result of today’s meeting of the Belarusian-Georgian Intergovernmental Commission, the parties agreed to prepare for the signing of an agreement between the two governments about avoidance of double taxation and prevention of fiscal evasion concerning taxes on income and capital. During the visiting, it is planning to sign an agreement about cooperation and mutual customs assistance, cooperation in tourism, intellectual property protection, cooperation in the field of standardization, metrology and conformity assessment. 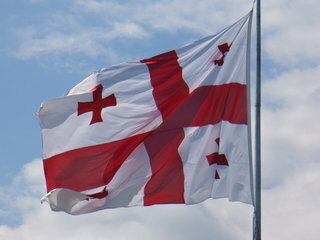 Relations between Georgia and Belarus were evolving in waves in recent years. 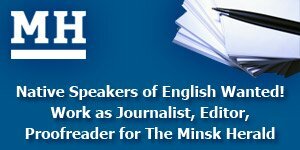 After the victory of “The Revolution of Roses” in 2003 and the coming to power of Mikhail Saakashvili, there was no close high-level contacts between countries. Periodically, the heads of both states were giving voice to the mutual criticism. However, in 2007 the Belarusian President said that he “had good relations with Saakashvili.” Belarus position of non-recognition of the independence of Abkhazia and South Ossetia after the Russian-Georgian war in 2008 gave additional impetus to these relations. Saakashvili even congratulated Lukashenko on his election victory in 2010, despite the fact that the results of these elections were not been recognized by any of Georgia’s western partners. The first meeting of Lukashenko and Saakashvili took place in 2010 in Yalta, Crimea. Then, after a few days, it was another meeting of Lukashenko and Saakashvili in Crimea, visiting Viktor Yanukovych. The next time, the two leaders met in Kiev during the football championship Euro-2012. After the victory of George Margvelashvili at the presidential elections in Georgia in 2013, Alexander Lukashenko sent him an official congratulation. In an interview in May 2014 Lukashenko praised the former Georgian President Mikhail Saakashvili again. “Nobody was fighting for Belarus in the West as Saakashvili. He told them: no sanctions; Lukashenko is a normal president,” said Lukashenko. Editor / Journalist / PR. Keen on computer games, sci-fi, cinema and zombies.